Architect as emergency response worker: that’s the concept behind ArchiAid, an organization founded after Japan’s March 11th tsunami and earthquake that aims to help revive the battered coastal region. The group of over 200 architects—which includes UCLA Department of Architecture Chair Hitoshi Abe and dozens of other well-known Japanese architects—have held symposiums and workshops, joined local planning committees, interviewed disaster victims about the history of their obliterated villages, and drawn up town plans that take safety, sustainability, and culture into account. I caught up with Yasuaki Onoda, a founding member of ArchiAid, professor at Tohoku University’s Department of Architecture in Sendai, and collaborator with Toyo Ito on the Sendai Mediatheque building. 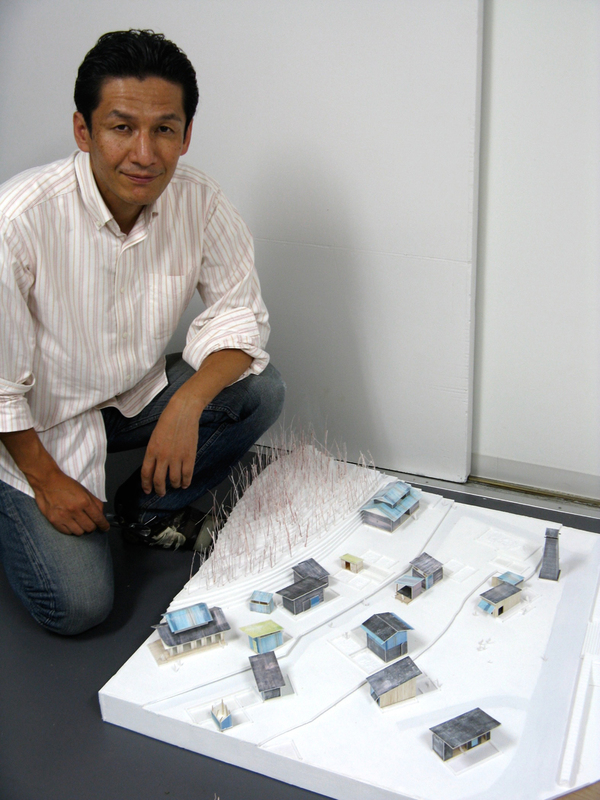 When I left his design lab at around ten in the evening, he and his students were still bent over their models, tirelessly designing the future towns of Tohoku. 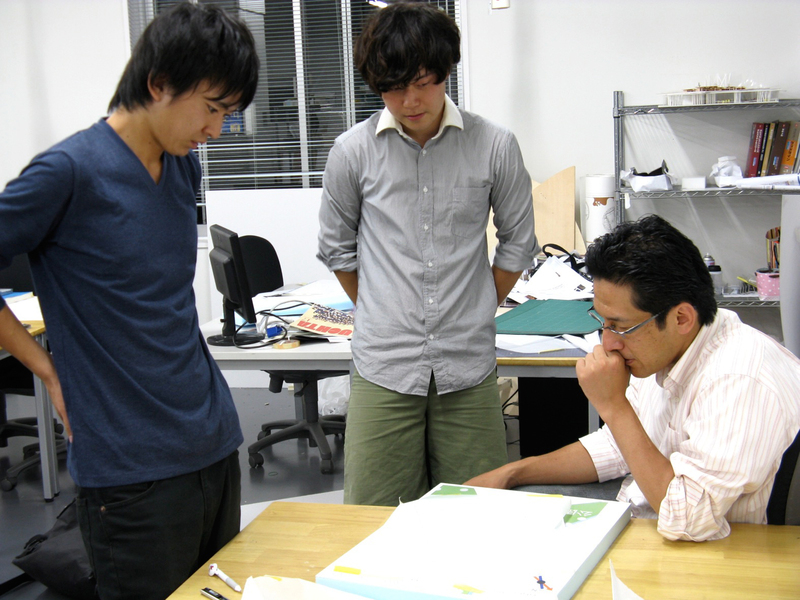 Yasuaki Onoda and his students at work on models for the reconstruction. 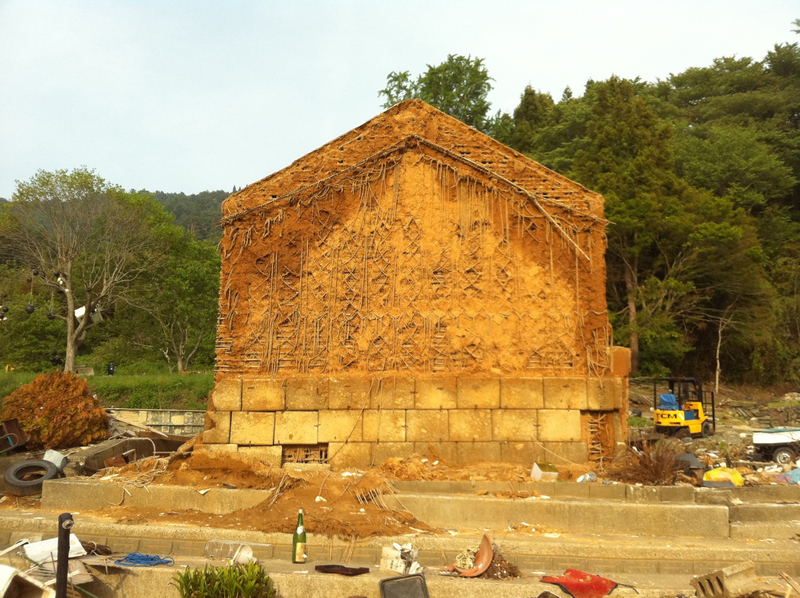 This kura, a traditional storehouse, survived the tsunami. Photo by Maiko Sugawara. Has the disaster changed how you see your role as an architect? I was very satisfied with my life before the disaster. I was designing beautiful buildings and enjoying my students. I had time for my family. Now I just work, work, work. But the disaster happened. 20,000 people passed away or are missing. We had to do something. And I’m not alone—I have many friends in the disaster area, strong, smart people, and I’m part of a great team of architects. Couldn't you leave all this tough work to the urban planners and engineers? In Japan, architects have not usually been involved in the early stages of rebuilding after disasters. The first phase was for civil engineers, and after that the architects came in. It was very segmented. The civil engineers are great, very rational, but they don’t imagine people’s lifestyles. I think from the beginning we need to imagine what will happen in these places when people build houses and live in them. That’s why architects need to be involved early on. How different will the area look once it’s rebuilt compared to before the quake? It’ll be very difficult to rebuild the same thing that existed before the tsunami. The shape of the land is completely different now, and the laws are different. Rebuilding homes on low land will be prohibited. The big question is how we can use the flat areas. Were any unique buildings lost in the disaster? Not so much. Major tsunamis have come to these towns about once every fifty years, so there are hardly any special old buildings. But there is a unique local building style, especially on the Ogatsu peninsula [about an hour north of Sendai, in Miyagi Prefecture]. In that area [which is the only place in Japan where slate is still processed] slate roofs are common, and that’s very rare in other parts of Japan. Do you have a favorite building in the area? This kura [a traditional storehouse] is my number one post-disaster building. The first time I saw it, it was late afternoon, four or five P.M. The sun was going down and, to me, the building looked golden. It was this golden figure that survived the tsunami, like an icon of the people who built it and the place where it was built. This traditional building is quite different from the sort of thing you build, right? Yes. Before the disaster I was very fixed on details. I felt I should do things a certain way. Now I’m very focused on the power of human beings and on the power of the site. This kura has no details, just shape and materiality. Those elements are so important in architecture.